In the context of a domestic dispute, arresting the wrong individual has significant legal consequences, but also other consequences that are not as apparent. A concern that is largely overlooked are the effects that a wrongful arrest can have on victims, especially children. Children are very insightful and more intuitive than people realize. Children embroiled in domestic disputes are learning to distrust police. In cases where both parents are arrested, children are left abandoned, and they associate the presence of police with the breakup of the family. It is not difficult to recognize the gradual changes in the way that police approach domestic violence situations. Police departments are operating under “pro-arrest policies” in the domestic violence situations. Arresting the wrong individual in domestic violence situations has consequences that include serious issues of child dependency, child custody, housing, emergency protective orders, criminal protective orders, no-contact orders. Further, immigration and naturalization of citizenship issues arise, which may lead to deportation from the United States. In order to make sure that your rights are accurately and aggressively defended after being charged with domestic violence in Southern California, you should contact the experienced Southern California criminal defense law firm of Wallin & Klarich. 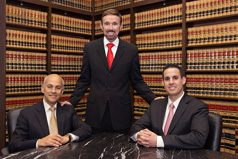 Our attorneys have been helping those accused of crimes for more than 30 years. Wallin & Klarich has the legal resources and knowledge to assist you in obtaining a successful outcome. Call Wallin & Klarich today at 888-280-6839 or visit www.wklaw.com to find out more about how we can help.